The Singapore economy had a slow start to the year and there is not much chance for improvement in the coming months, economists said yesterday. Growth in the January to March period was just 1.8 per cent higher than the same period a year ago, as the service sector disappointed while the manufacturing recession dragged on. Pay rise for low-wage workers? The National Wages Council is expected to announce next week a recommendation to give low-wage workers a minimum pay rise. Its proposal is being considered by the Government and, if accepted, will kick in on July 1. Taiwanese President Tsai Ing-wen has made the economy a top priority, after her predecessor's China-friendly policies failed to create jobs and raise wages. But analysts warn that her plan to woo South-east Asia and India to reduce Taiwan's reliance on China would fail with China's interference. Guard Russell Westbrook and forward Kevin Durant combined superbly in Oklahoma City's 118-94 rout of Golden State to put the NBA holders on the verge of elimination in the Western Conference finals. Westbrook scored 36 points and Durant added 26, as the Thunder took a 3-1 lead. The Afghan Taleban has appointed Haibatullah Akhundzada as its new chief, after officially confirming the death of leader Mullah Akhtar Mansour in a US drone strike. Observers say Akhundzada is seen as more of a religious figure than a military commander. Hikers, mountain bikers, photographers all want their spot of wild, but nature conservation groups worry about harm to plants and wildlife. The answer, writes Audrey Tan, is to both regulate and educate. "Deepening our kampung spirit" is the theme of this year's Hari Raya light-up, which promises to be bigger and more spectacular than usual. A stretch of road will feature festivities and a pavilion inspired by traditional kampung houses. Singapore has one of the highest rates of software piracy in the developed world, despite a drop over the last three years. A survey found almost a third of programs installed in homes and offices here last year were unlicensed. Experts attribute this to the cost-saving mindset of smaller companies. The Singapore Exchange (SGX) has entered into exclusive talks to buy the Baltic Exchange. In February, the Baltic Exchange confirmed it had received some "exploratory approaches" after SGX said it was seeking to buy the global shipping hub. Sources said the potential deal might value Baltic at about US$100 million (S$138 million). 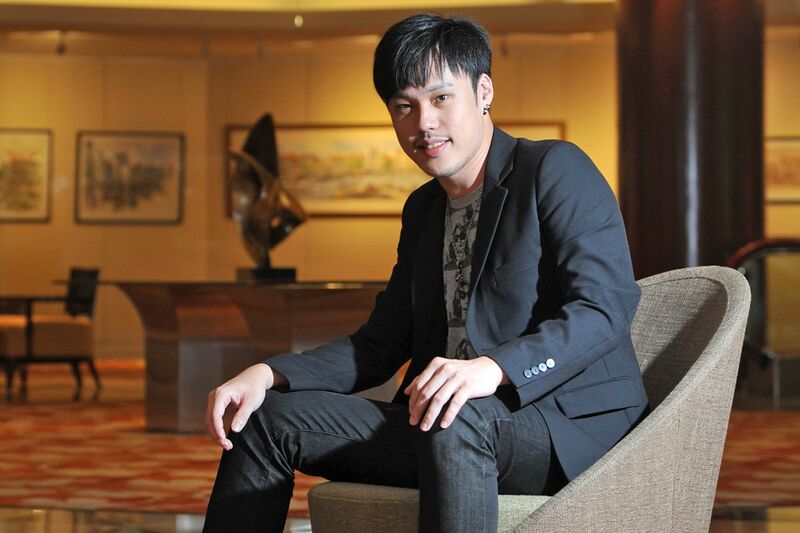 A Little Happiness, the theme song of last year's Taiwanese movie hit Our Times, is a breakthrough for Taiwanese musician JerryC (photo). The ballad he wrote has earned him more job offers, including penning the music score for the Singapore movie Young & Fabulous. What started out as a fun indie project has turned into an award-winning book for part-time lecturer Melanie Lee. The work - Who Is The Red Commander? - last week became the first Singapore book to nab the annual Crystal Kite Award by the Los Angeles-based Society of Children's Book Writers and Illustrators.